I will shower My Spirit and My blessings on your offspring. For I will pour water on him who is thirsty, and streams on the dry ground. 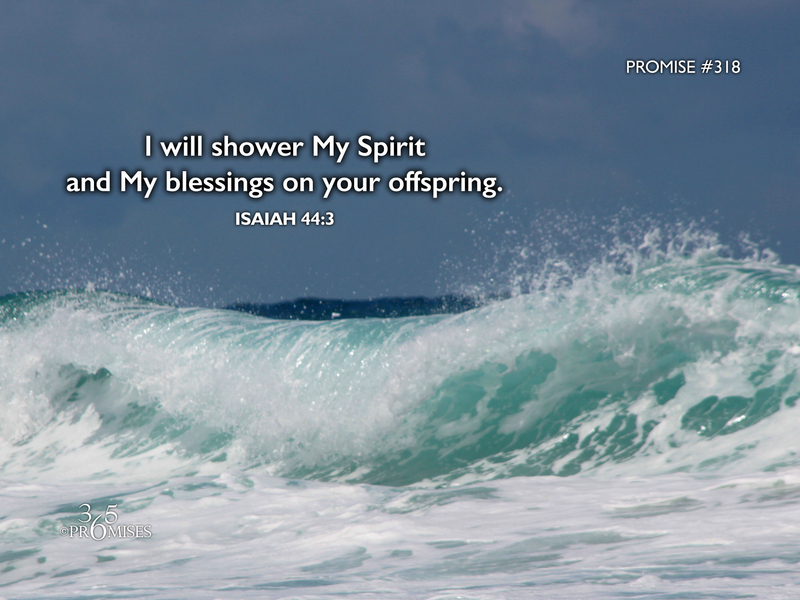 In today's promise, God says that He will water the thirsty and the dry ground and pour out His Spirit and His blessing upon our offspring. As a father of three adult children, I say yes and amen to this promise and pray that His Spirit and His blessings will be poured out on more generations to come! God loves to bless His kids. When He created Adam and Eve in the Garden of Eden, He blessed them to be fruitful and multiply and have dominion throughout the earth. His heart hasn't changed today. His desire is that our entire family would live under the fullness of all His blessings!